Friday, October 12th was St. Francis Xavier&apos;s Father Daughter Dance. The girls and their fathers were dressed so elegantly for the "Red Carpet" event. The night was filled with fun activities, music and dancing and of course hors d&apos;oeuvres all complimenting with the Red Carpet theme! St. Joseph&apos;s hall was beautifully decorated by our 6th and 7th grade decorating committee. The night was fantastic! 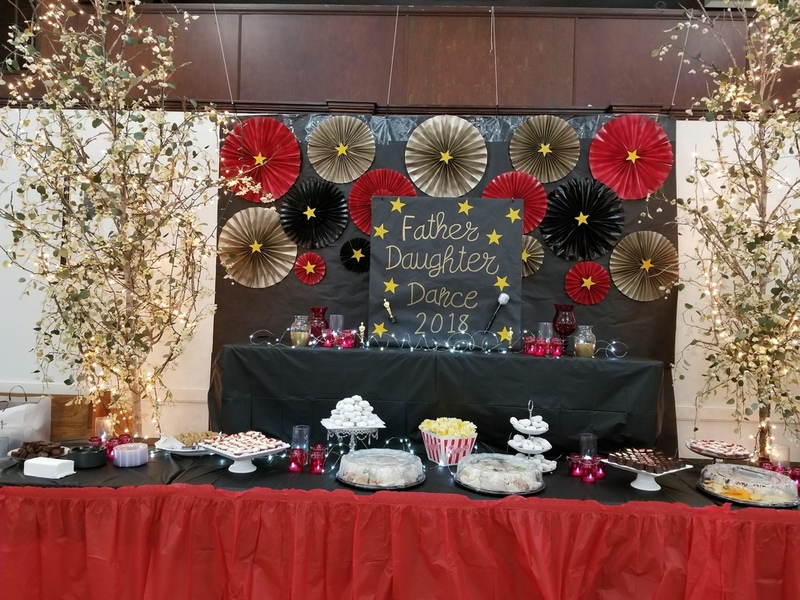 Our Father Daughter dance was well attended with 310 fathers and daughters! This is an event for only St. Francis Xavier girls and their fathers. Photography was provided by Loupe Photography. The backdrop for pictures was absolutely precious! Loupe Photography special ordered a Red Carpet backdrop to match our theme. Our DJ Entertainment was provided by Audio Video Connection, who played an assortment of music. Hors d&apos;oeuvres were served buffet style with an assortment of sandwiches, cheese, fruit, red velvet cupcakes, mini cheeses and cookies. Dance activities included "Ring and Oscar," "Hollywood Walk of Fame," and "Rose Pull." Decorations were very important to set the right ambiance and our 6th and 7th grade girl made them all!